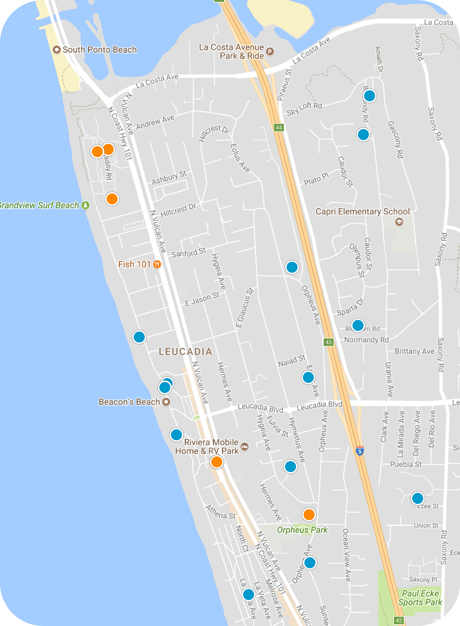 San Diego Home Sales website search offers all Leucadia homes, condos and foreclosures for sale. You are able to get new property listings daily that meet your search criteria. Leucadia is a distinct district within the city of Encinitas, California, in the Southern California region near San Diego. 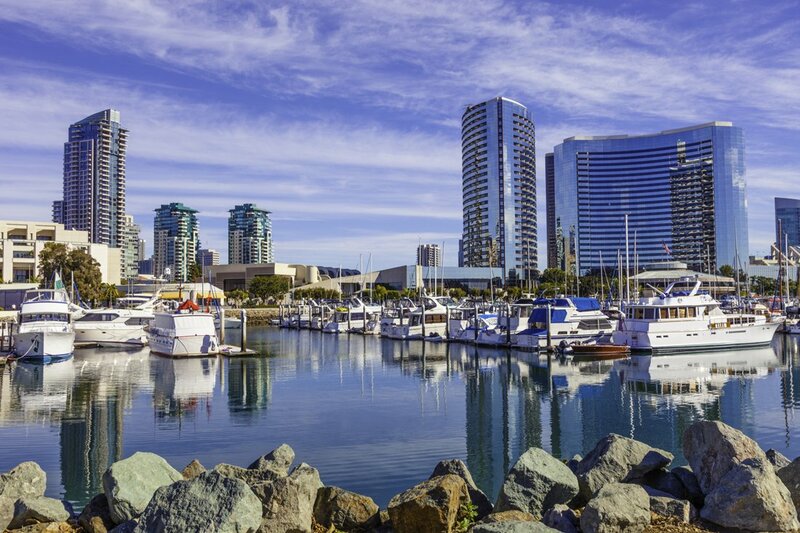 The neighborhood is mostly tree-lined and borders the coast of the Pacific Ocean, with a number of art galleries, boutiques, stores and restaurants along its streets. Most of the housing in the area are single-family homes. It runs along Coast Highway 101, making for a scenic drive whether heading north to Los Angeles—about 95 miles away—or south to San Diego, which is about 25 miles away. The community is old-fashioned and is a popular destination for beach goers and surfers. Trains in the community offer quick and convenient connections to downtown San Diego, with the railroad running right through the middle of the town. Many of Leucadia residents are surfers themselves, and the area's beaches are open nearly 24 hours, opening at 4 a.m. and staying open all the way till 2 a.m. Grandview Beach is among the most popular with surfers. Leucadia incorporated into the city of Encinitas in 1986 along with four other area communities. It was originally founded in 1885 by immigrants from Britain, and its name means "sheltered paradise." Another popular spot is Leucadia State Beach, an 11-acre rocky beach known for its swimming, fishing, surfing and picnicking. It it also commonly referred to by locals as Beacon's. Public schools in Encinitas are run by three local school districts: the San Dieguito Union High, the Cardiff and the Encinitas Union school districts. There are two visual arts schools, many private and charter high schools, like San Dieguito Academy, Grauer School and Pacific Academy, and a few private middle schools like Encinitas Country Day School and the Rhoades School as well as private elementary schools. Mira Costa College's San Elijo campus, a community college, is in Encinitas.